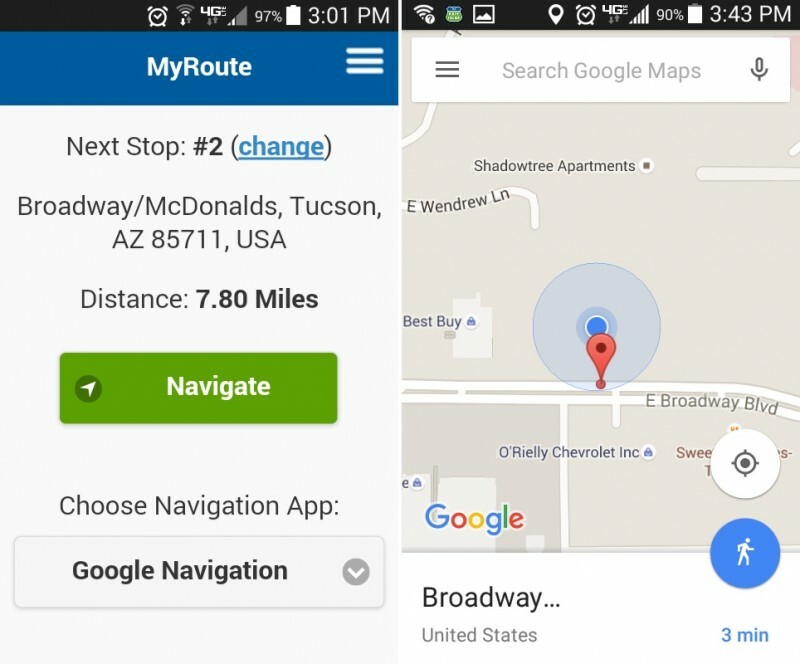 MyRoute by MyRouteOnline is an easy to use navigation assistant for Android, iPhone, Tablets, iPads and Windows Phone. MyRoute allows you to manage the route you planned with MyRouteOnline and makes it easy to navigate a multi-stop route using your favorite navigation app. Our app works in conjunction with your favorite navigation app to navigate your entire route in stop by stop sequence, from start to end. Whether you run a delivery company, a trucking business, maintenance or any kind of service that requires multi-stop route planning, you can count on MyRoute to navigate your route, saving time, fuel and money.